Pack & go. The luggage tag for your identifying information. 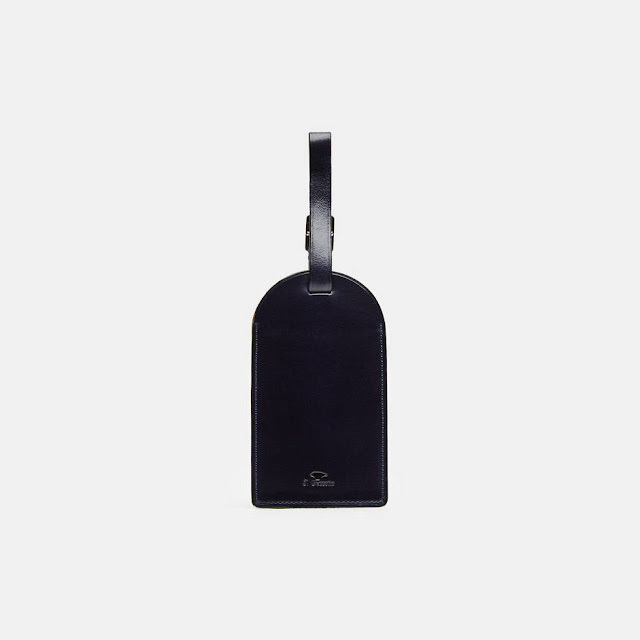 Stitched on three sides, the lustrous navy luggage tag signed Il Bussetto make the perfect travel/vacation accessory for writing down your identifying information. The Milan based label that stands for Italian tradition of leather goods manufacturing is famous for using for its products bovine leather that is vegetable-tanned in Tuscany and then painted by hand.